Whether you have high blood pressure or not overcoming stress is one of the best things you can do for your body, soul and mind. With the approaching holiday season your stress increases trying to make everything perfect. So the least thing that goes wrong can cause you to start stressing. It is either happening to you or you are hearing more from family or friends of the many relationship fights and disagreement that's happening all around you, which all stem from stress. So combating it is important. Inwardly tell yourself to be calm. 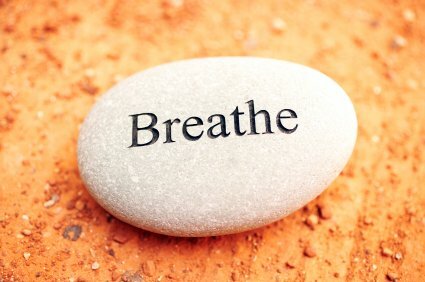 Breathe deeply and slowly. Concentrate on the movement of your diaphragm and do this two to three times until you feel more in control. Find somewhere private where you shout as loudly as you want. Let the emotion go then take a deep breath. How about dancing to your favorite music and let it calm you. Find a way to include laughter, it is one of the best antidote to stress. And best of all say "No" to unreasonable demands. Do read more on the damages of stress and high blood pressure to your body and mind. As promised my ebook on all you need to know and do concerning high blood pressure is here. My proven steps on reversing my hypertension is now just a downloaded click away. You too can lower your high blood pressure. Review the Table Of Contents and you'll see that I have listed everything you need to succeed in reversing your hypertension, along with the many alternative treatments available to you with little to no side effects. 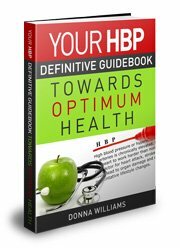 Your Definitive HBP Guidebook Towards Optimum Health makes a great gift, so start right now with the PDF instant download for a special introductory price. 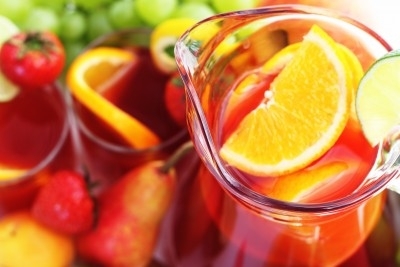 A little wine, some fruits and you have got yourself a delightful drink to serve your guest during the holidays. 2 bottles (750 ml) white wine - Pinot Grigio, Chardonnay or your favorite. In a glass pitcher add all the ingredients except the sugar. Allow the mixture to sit in the refrigerator at least two hours before serving. And at the last minute add sugar to your taste. The holiday season is here, so Info-on-high-blood-pressure.com wishes you happiness and love. If you have a story to share please do, and thank you. Your comments and questions are always welcomed, so please use my Contact Me page.